The Secretary of CCG Uganda is Mrs Odette Nyrabageni wife of the CCG Coordinator for Uganda and senior Projects Officer, Bosco Bizimana of Kasese where our projects office and Computer hardware and African Computer production office is located. Bizimana has provided us with a report on the projects now in Uganda and we have had some other reports that we will share with you. The report has been edited and added to and we have included the photos of some of the projects and particularly the tailoring project. 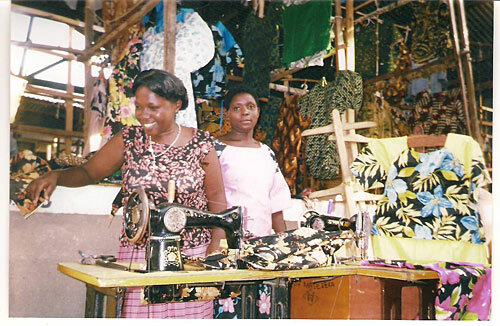 We have established the CCG Uganda Sewing Machine Training Centre for Tailors. The school will be developing CCG members from poverty by trade training and educational development. The school will help all CCG members in Uganda. The School was established at Kampala, the capital of Uganda. The aim is to help our people as best we can to get them to be trained and enable them to be self-employed and able to keep the Feasts, New Moons and Sabbaths of the CCG without interference. We have training centres in different districts, where we are operating, but the centre at Kampala that we opened today is helpful to all. We have established training programs of three months up to 2 years. We have experienced CCG teachers in this occupation who are being used to train our people. We are committed to the long term programs established under the “CCG Uganda Vision”. The program aims to have each member and family developed from poverty, and to help each other to build the Church of God and have all faithful and dedicated to the faith. To enable this to be done we need to educate our people so they may take part in the many different small projects in order that they may be self-employed and free from the poverty level found among our people, and eliminate it from all our members in CCG. Initially CCG World Conference provided five sewing machines and then a further four machines. 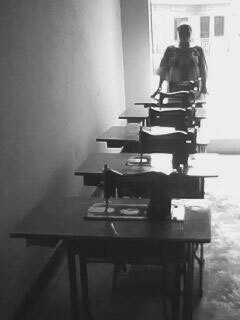 From these nine machines we established tailoring facilities in south and then northern Uganda. Now we have another 45 sewing machines. Our people at Kawemple are dealing with this project also. They now have 17 machines. Our people in northern Uganda now have 11 machines operating in Dokoro, Arua and Lira Districts. There are another 9 sewing machines at Ssembabure District and we have another project at Hima-Kasese where we have 8 sewing machines operating. 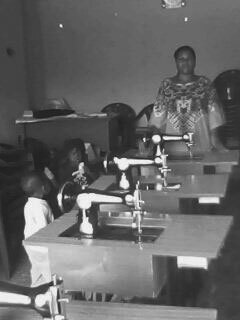 We have established the training centre where we started with five machines and we are requesting our members to contribute funds for buying more machines as we are planning for the school to have at least 50 sewing machines by the end of this year. If we are able to get 50 machines we will be able to train 60 people in three months and in 6 month we will be able to train 120 people. In one year we will be able to train at least 200 people. As these people are trained some will try to get machines and start to be self-employed. Others will be looking for jobs with people who have the sewing machine workshops. In three years we should have more than one thousand people trained to be tailors. We will try to have each person trained to be equipped with a machine and we can train cutters and others in the trade. Sewing machine projects, as well as our other various projects, are a positive influence on the brethren and on those who observe our industry and competence and our care of each other. Our projects are encouraging people to join us in the faith. By loving one another we show them that we love God. As our tailoring projects are being developed, we can now buy at least three machines each month to be provided to new people who have successfully completed their training to be tailors. The people who are being financed by micro-finance loans for purchase of machines from the CCG Sewing Machine Program are paying the loans off in three or four months. Everyone who has purchased a machine and received the machines have paid them off within four months and we were able to buy other machines from that money and then give them to others under micro-finance. Now we have 87 people who have finished training some three months ago. Some are looking for jobs in the workshops. 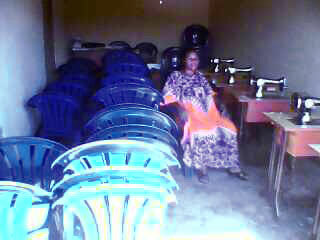 We noted that of those graduates, 23 people have got jobs and 16 people have asked for funding and purchased machines. Now they are self-employed and 5 people are going to be used in this school we have established at Kampala and 6 people were given machines by CCG and are working to pay the loans given to them. So there are 50 people who are already organized to be self-employed. There are still 37 people looking for jobs in the workshops and we hope during the next month we will get at least 8 machines to them, which will help them. The machines will be financed from repayments of the loans that were given to others who finished training beforehand. Also the tailored clothes are sold to the schools. We have already had contracts from more than seven primary and secondary schools that have given us the work of tailoring the uniforms of the students of their schools. We are now advertising our activities. In the near future we will have many contracts and our people who have machines have been advised to work in associations or cooperatives. They are getting steady work and contracts and are only limited by the number of machines they have. However, we hope God will provide more machines to enable us to get enough machines and have our people properly developed. Adult people who are CCG members and illiterate need training also. 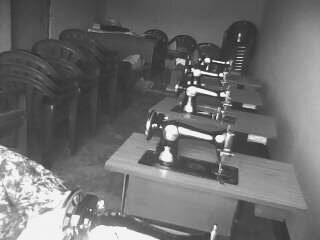 We have a number of them who have joined this tailor training program. Some did training practice but some are already tailoring clothes and earning funds for supporting their families. Our people who like to work are getting blessings from our advice. God can use any one who trusts Him, and hears what He says to us. Although we work in hard times, God is making our burdens easy. All things that are difficult are being made easy or organised in His ways. We are planning to buy a shoe-making machine at the end of this year as we have two people who are in training for this task. We are planning to establish a shoe-making facility and they are doing a shoe-making course at Kasese. Soon we will have our own shoe-making facility. The heavier machines will also enable us to set up a tent-making factory there. We are organizing to start the shoe project for when our shoe-makers-in-training graduate. The shoes will be made in cow-hide. We will buy machines which can prepare the hides and materials that will be used for dealing with this project. We are also planning to get materials from the hides and we will be producing the soles from old car tyres and rubber. This project will be helpful to bring development into the CCG people. As this project is not yet dealing with many people, we will be developing new customers buying shoes. We are now discussing and planning how we can deal with making tents. We are requesting all CCG Members to pray for the CCG Sewing Machine Training Centre for tailors and all activities established in Uganda and in other areas. A few months ago CCG World Conference and CCG Uganda provided five computers and printers for a cyber cafe at Bunia in the Congo DR. The province churches provided the rental and set up funds for the cyber cafe. In a few months they made enough profit to pay for another four computers and a printer for the establishment of another cyber cafe at Goma. The cafes are used for the production of CCG materials. We have also sent a copier to the CAR to take up the heavy copying work for the operations of CCG in CAR. We are linking the works in the Sudan with Kenya, Uganda and Ethiopia. We have sent our project officers in Kenya down to Kendu Bay and Rachuonyo this weekend to establish two more fishing cooperatives at Kosele area and further down towards Homa Bay. We established another five churches in Rachuonyo and Kendu Bay area this week. That will make four fishing cooperatives in Kenya on Lake Victoria at Homa Bay and Rochuonyo up to Kosele area; and another at Siaya: with others in Uganda. We have a fish farm in Western Uganda and we will examine more cooperatives on the other lakes. They will examine other projects in the new areas as well. Walter is now in Liberia at Monrovia and will be inducting another 33 churches there and the Gambia. Moses Hadi, Senior Coordinator for Ethiopia, has a sick wife who has been hospitalised and we request prayers for him. He has many more churches to induct also. We also need to obtain more Bibles for the inductions. We have some 28 churches in Uganda being inducted also this week. The Congo DR is inducting the 24 churches at Maniema and there has been already 26 inducted in Maniema District Kivu South, making over 50 churches now in one district of one province in Congo DR. Even the senior coordinators there are amazed at the size of the church and its growth there in the Congo DR. We have to induct more at Kisangani. We are also using many other projects for the development of villages and for women’s micro-financing into chicken projects and egg selling projects, and others for maize and cassava production and milling, and for onion projects and vegetable production and rice production, and education programs. We are planning on establishing more goat farming and cow/dairy production. The profits also fund the CCG printing and education distribution. We are hoping to get some computer parts in by container as we were offered a container load if we can get them in safely. It is truly wonderful to see God’s people so encouraged and able to rise out of poverty by self-development. We have had officers of other churches resign from paid jobs to develop the faith with CCG. Please pray for our people and assist where you can.